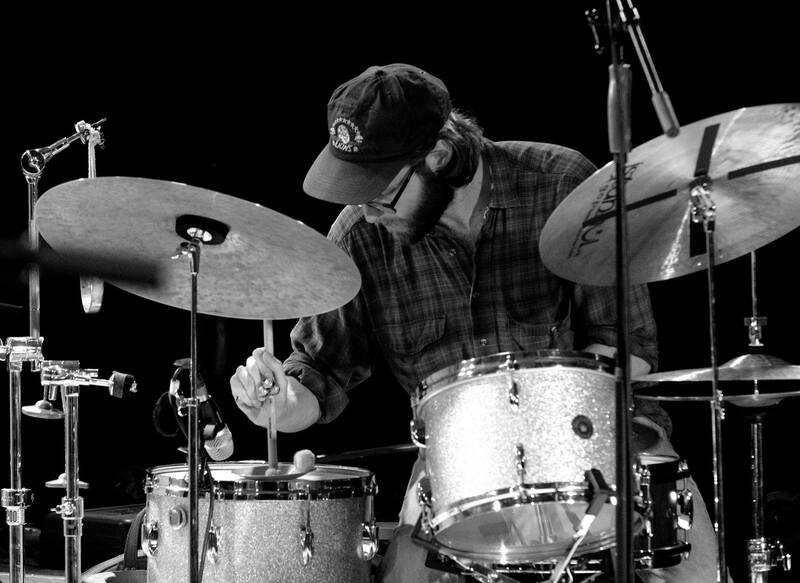 Chris Hill is a drummer, composer/improviser and sound-artist based in Berlin. Combining risk-laden improvisation with meticulously sculpted sound design, his work is mostly operating at the frayed out corners of established genres. Chris is a highly active performer within the emerging and creative musical community. He is a founding member of collective improvising piano trio CLEANING EACH OTHER, a member of ECHO CHAMBER, a group that seamlessly blends free-jazz aesthetics with electronic experimentalism, and a member of Eden Leshem’s HUSH MOSS, a group whose music has been described as a “creepy selection of nocturnal R&B“ by The Guardian (UK). He has been very fortunate to collaborate with a wide range of improvising artists such as Axel Dörner, Simon Rose, Vincent von Schlippenbach / DJ Illvibe, Brad Henkel, Rieko Okuda, Tomomi Adachi, Johannes Fink, Lina Allemano, Gerhard Gschlössl, Antti Virtaranta, Eliad Wagner, to name a few, as well as vocalists like Alice Phoebe Lou, Kyson and Merryn Jeann – oscillating and blurring the lines between experimental avantgarde and pop culture. His solo project HOLYMACHINES is focusing on abstract electronic music, using digital technologies to manipulate samples and found sounds to finally reassemble them as bold new sonic gestures. The audiovisual debut album IMAGE VERSION was released in 2016, largely featuring work by video artist and motion designer AQUIET. As a curator, he is active as co-founder of Berlin-based audiovisual label AVERAGE NEGATIVE and as host of the regular concert series LIQUID SOUNDS SERIES – both dedicated to genre-free, creative music.